For every owner, there are times when you have to be away from home – for example, when you are on holidays, visiting friends and family, during hospitalization or when on business trips. During such times, you will have to make arrangements for your dog to be looked after. There are several options to choose from depending on the circumstances. Seek recommendations from vets and dog-owning friends. Visit likely establishments first to satisfy yourself your dog will be well cared for. Your dog will need to be vaccinated against relevant diseases, so ensure his injections are up to date well in advance. Take the vaccination certificate with you when presenting your pet at kennels as it will need to be checked. Tell the kennels of any special care your dog needs, or if he has any behaviour problems. If you have a number of pets, employing the services of a petsitter is a good option. Such a person stays in your house, so you have the added advantage of home security as well as your pets being cared for in familiar surroundings. Use a reputable agency that vets its staff carefully, and offers insurance in case of mishaps. any specific dos and don’ts regarding your pet’s care and handling. contact details for yourself and your vet, in case they need to contact you or the vet in an emergency. what food your dog has, how much and when; leave enough food for the entire period of your absence. any medical details if your dog is receiving treatment. maps and duration times of safe, local walks if required. If you want to take your dog away with you, you need to accustom him to travelling. If using public transport, check companies’ rules and regulations regarding this. In the car, travelling with your dog in a travel crate is the safest option – make sure that he can stand up, lie down and turn around in it. 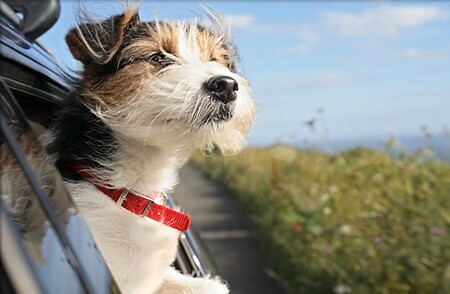 Incorporate plenty of rest and stops in the journey, and never leave your dog unattended in the car – particularly on warm days. Many hotels are pet-friendly these days. Dogs are generally contented to be where their owners are, and are always more than happy to explore new places and walks, so both of you are likely to enjoy going away on holiday together. Take your dog’s bed, toys, food, collar and leash, and a first-aid kit so you are prepared for any eventuality. When you arrive find out where the nearest vet is in the area. Make sure your dog is wearing an ID tag bearing your holiday address and phone number as well as your permanent one, in case he gets lost while away. Having him ID microchipped is a good idea.